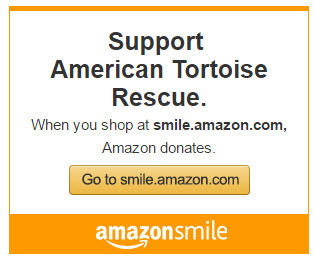 Please help our Turtles and Tortoises! There are many ways to help. Donations are critical. Since we are all volunteer, donations go directly to the turtles and tortoises at the sanctuary, as well as to the Hospital Fund for Needy Turtles and Tortoises. A donation of $100 or more entitles you to a one-year adoption certificate for one of our wonderful residents. Please consider making a tax deductible (93-1219374) contribution of $1, $5, $25, $50, $100, or even $250 or more to help. Remember, many companies also match charitable contributions made by their employees. Please ask your human resources department.